Since 2006 the agency Appart'Ambiance is Lyonnais leader in short term. 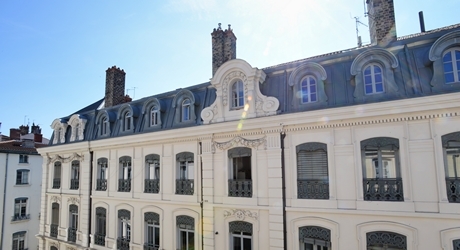 Business trips, business trips, holidays ... Appart'Ambiance has selected more than 80 furnished apartments located in the main districts of Lyon, Lacroix Rousse Vieux Lyon, via the Presqu'Île, Tête d'Or, Confluence or the district of Part Dieu. A large and diverse park which allows for choice! 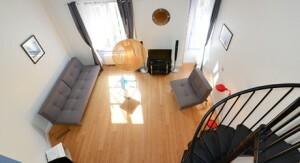 From studios in Q4, apartments in short term rentals in Lyon are hosting solution for traveling solo, couples, friends or family. Since our inception, we have chosen to internalize our services. 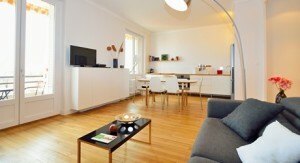 The team of Appart'Ambiance manages the entire service from reservation until the departure of the client. 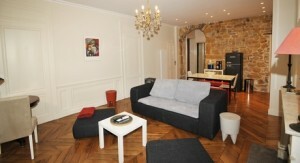 Under his expert status in the short and medium term stay in Lyon, Appart'Ambiance hides a team of specialists. Different personalities whose alliance qualities and expertise allows us to offer customers an efficient and quality service. A collective and collaborative work for a dynamic, responsive and available! This is the credo of Appart'Ambiance that puts a point of honor to offer a customer service more human. Online, by email or by phone, booking an apartment in Lyon is quick and easy! Managing providers (artisans, EDF, Internet service providers, etc.). You want to rent or entrust your apartment? The team of Appart'Ambiance reserve you the best welcome.